Welcome Home To This Freshly Painted & Move In Ready Family Home In Highly Desirable Lisgar Area. 1000'S In Recent Updates & Upgrades Throughout! Furnace & Ac (2016), New Front Door, Patio Door With Built In Blinds, Front Windows (2017), Led Potlights, Stainless Steel Appliances, New Broadloom On 2nd Floor, Fenced Backyard With Deck & Gas Line For Bbq, Finished Basement With New Laminate Floor And 3 Pc Bath. Master Br Boasts Semi Ens Bath, His & Hers Closets! 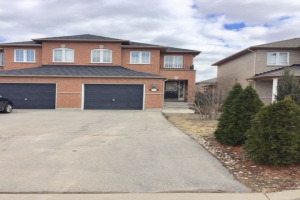 Located On A Family Friendly Crescent & With An Extra Wide Driveway! Close To Great Schools, Parks, Hwys 401, 407 And 403 For Easy Commutes, Meadowvale Town Centre, And Much More! Nothing To Do But Move Right In!